This premium promotion is a delicious delight! 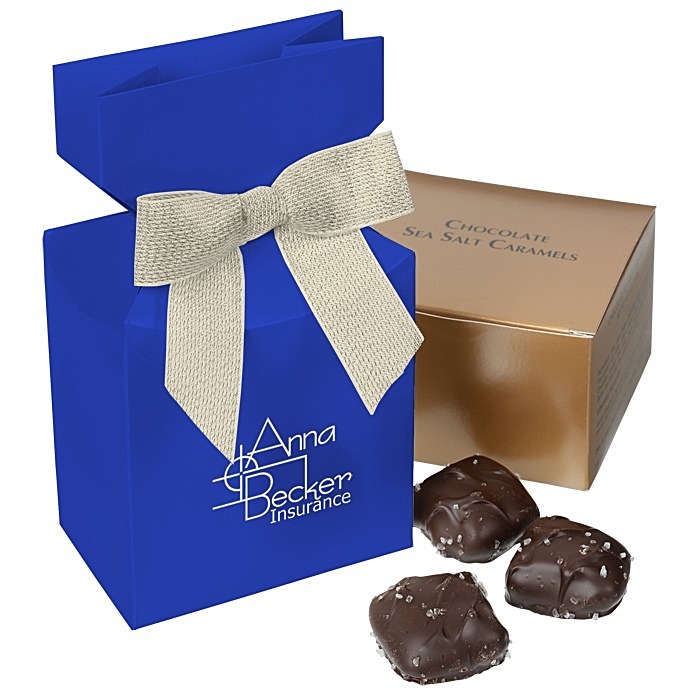 Send these rich-colored treat boxes as thank you gifts to donors or leave as party favors on banquet tables. Each recipient will receive 4.75 ounces of chocolate sea salt caramels, approximately 12 pieces. 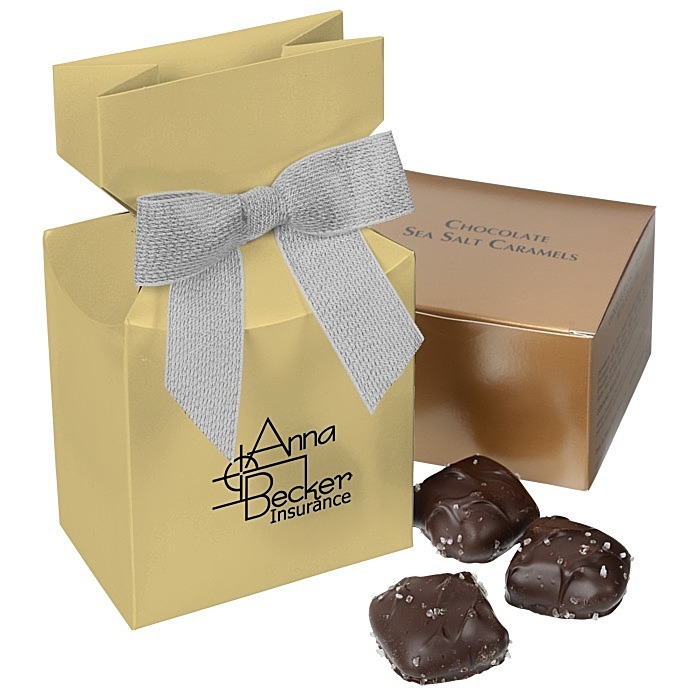 Attractive gift box is foil-stamped with your logo and tied with a bow. 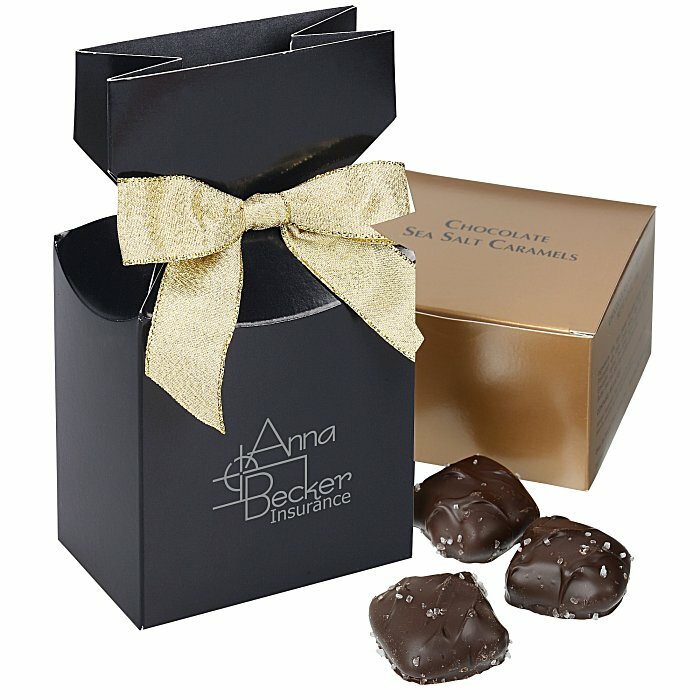 Kosher certification is available upon request; please indicate your request in the comment box during the ordering process. Size: 6" x 3-1/2" x 2". Your price includes a one-color imprint on the front of the gift box.